As I write this post I am currently in my last ever semester of university. Just 12 more weeks of lectures, a few exams and a dissertation to go and I will be out of education forever. Madness. Having spent the last two and a half years doing the whole uni thing myself it's fair to say I've learnt a lot, in more ways than I can even begin to explain. 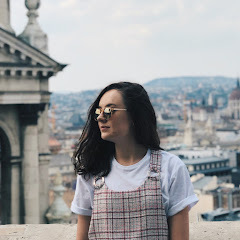 I wrote a post back in June last year titled 7 Things No One Tells You About Going To University and for today's post I thought we'd add another five to that list. Whilst the workload is by far the biggest of all of the years and it also counts the most, it's 60-70% of your degree, it is also the most fun. First year is fun because it's all new and exciting and there are so many cool new things to do and experience. Second year is fun because you move out of halls and into your first proper student house. But, third year is great because you've made all these great friendships, you've done all of the growing as a person/finding yourself etc, you have a lot more free reign of what you want to study and you're just well and truly into the swing of things. Whenever you hear about university it's always people saying how great freshers etc is, but no, third year is where the real fun is. I know that student houses are known for being bad, but it's never quite portrayed just how bad they are. I've written an entire blog post on the realities of student housing and spoiler: a lot of it is pretty gross. That being said, my student house this year is like the Ritz in comparison to the dive we lived in last year, so it's not all bad. 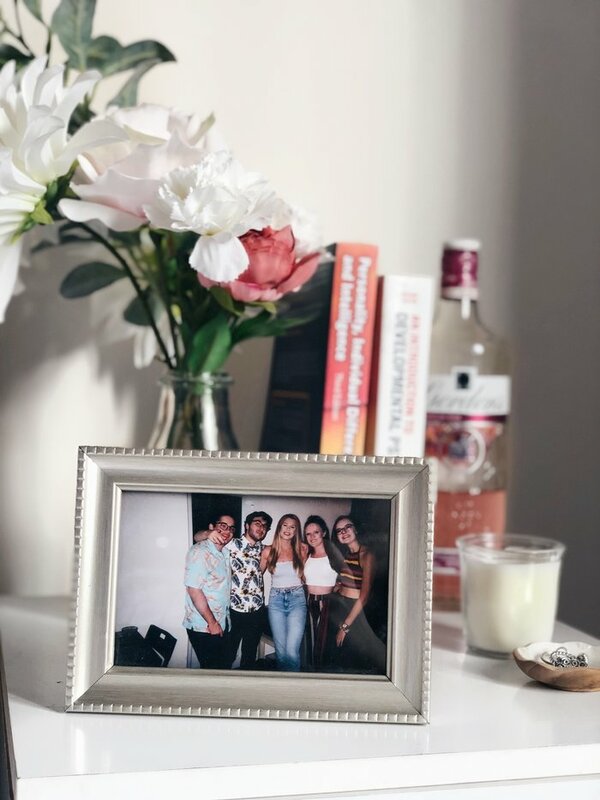 I've written an entire post on how to choose the perfect student house, so, if you're currently first or second year - check it out! You're welcome. Also, if you're nosy and want to see the glow up between second and third year, you can see what my uni room looked like in second year here and compare it to now, here. So, moving out of halls and into a house might seem like the coolest thing ever, but, be warned, a lot of the houses are actually pretty rank. Oh, and what comes to mind when you think of a student house, make it three times worse and add a few more rats. There's this whole perception that everyone makes all of their best friends for life at uni, and whilst I definitely have met a few, they don't just fall into your lap. I was very lucky with my flat in first year and we all got on really well and have lived together ever since. For other people, however, this is not the case, and making a good set of friends requires a bit more effort. Make conversations with people in your lectures, join a society, go on nights out, get to know other peoples' flatmates. Going to uni doesn't immediately mean a huge circle of friends at your beck and call - you've got to go out of your way to meet people. My coursemates now I didn't really know for the first 6 months of uni... If I'd have just stuck with the people I'd met in the first few weeks I wouldn't know any of them now. But, going to socials, parties, doing things has meant that I've got to know a wide variety of people that I wouldn't have from halls/lectures alone. At school, if your teacher wanted you to read a textbook they'd give you a copy of said textbook to read. At uni, however, this is not the case. Lecturers will set required readings from textbooks and you need to go out and buy them. Yes, there's a couple of copies in the library but when in a cohort of 250 the chances of having it are slim. Thankfully, our course run a book sale whereby people sell their old textbooks to the new cohorts for waaaay less than the RRP. That being said, this doesn't work so well when you're in your final year and all of the year above - along with their textbooks - have left the university and are out in the big wide world. So, advice for any first or second years; get in touch with people in the years above and ask if they're selling their old textbooks. Also, if your uni provides you with textbooks, I'm very jealous. I'm not sure if this just applies to my uni, but you definitely get very different types of people in each of the halls. Our uni has a catered halls, which is predominantly inhabited my boys, and not just any boys; mummy's boys who are part of the football/rugby/hockey teams. The halls actually in the town centre house those who go out a lot/feel the need to be close to West Quay. My halls was en-suite and really really nice, so you could say we were all the wrapped-up-in-cotton-wool kind of freshers who had to wait until second year to experience true dirt and grime. Sort of like the mummy's boys, but not quite so bad. One of the other halls is renowned for being the party halls and in first year that was where all the big pres/parties were held. Again, none of this is actually said during the open days/on the brochures but somehow everyone just falls into 'their' halls. Are there any more points that I've missed? Love this post. 100% agree with all these points. My final year was by far the best year! Such a fab post Becca. So true about having to go out of your way to make friends, I'm not sure what I expected but I definitely had to put the effort in! I reckon third year would have been my best year at uni but I left after the first term and moved back home due to getting pregnant hahaha! I still did my degree but I missed out on graduating with my friends! This was a very interesting read! Third year was definitely the most work. But I do agree on friendships ��. I also hated the student house I had in second year tooo. It was bloody freezing. My flat in 3rd year was amazing though ! !